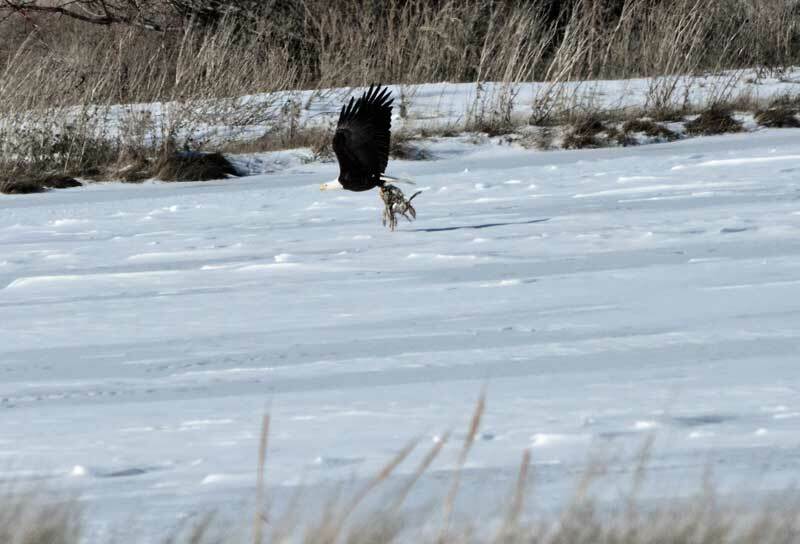 The lone Bald eagle flew low along the marsh grass sticking up through the newly fallen snow when it almost did a summersault — disappearing behind a ditch bank. Finally it reappeared, heavy laden with a dead jack rabbit held tightly in its claws as it flew close to the ground unable to gain altitude. 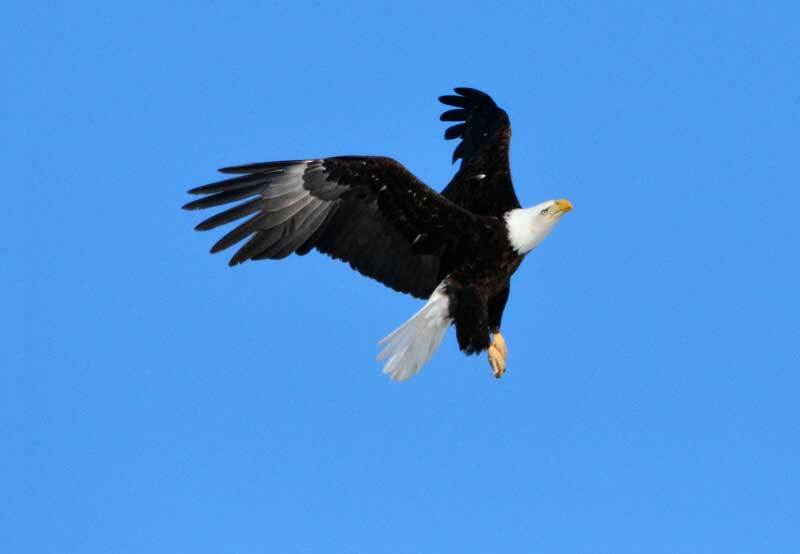 Another adult eagle showed up following closely behind and the two disappeared behind a row of trees west of Market Lake. It was last Saturday, the day of the “Come to Roost at Camas” activity at Camas National Wildlife Refuge and I started my trek to the activity three hours early from Rexburg. I visited Deer Parks Wildlife Management Area west of the Menan Buttes where I observed more than 1,000 swans; mostly trumpeters with a lone immature bald harassing them. Crossing the Snake River just east of Roberts a mature bald rested on a power pole, the same pole where I had photographed an eagle two days before. All the open flooded waters from Thursday had frozen forcing all the swan, geese and ducks to disappear. Where the eagles of Thursday had freshly deceased waterfowl to eat, they now had to rely on stringy jack rabbits to pick on. Arriving at Camas National Wildlife Refuge just before the prescribed time, the bitter cold southwest wind forced my mind to guide my physical being to drive the Auto-route through the refuge. Two coyotes were a quarter of a mile away harvesting rodents while the white-tailed deer began sneaking out of the brush for an evening meal and a porcupine was stripping the brush of its precious bark. 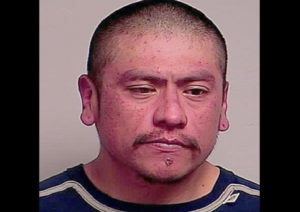 A propane heater was brought in by Ferrell, an employ of the refuge, to try to take the sting out of the bitter breeze; a pair of melted gloves with a “you are lucky they had cotton liners in them” was a result of getting too close. 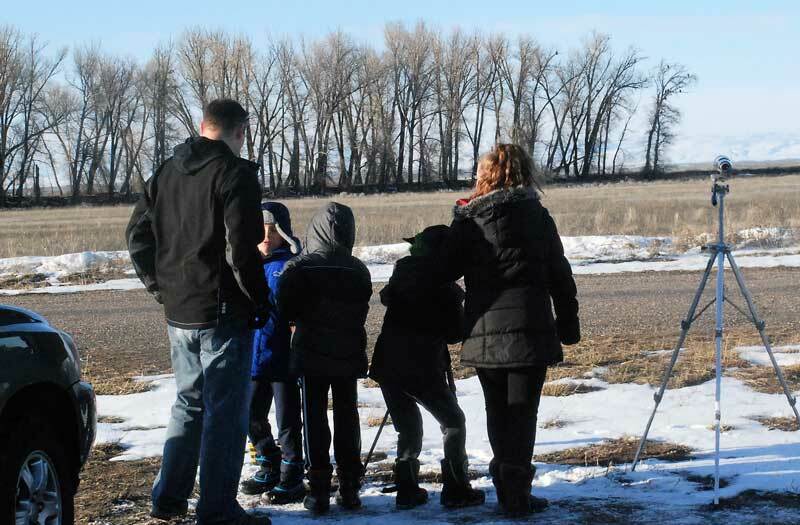 Matt, a first time visitor to the refuge from Rexburg, had brought four children to enjoy the “beauty of nature” as they watched the eagles flying in. 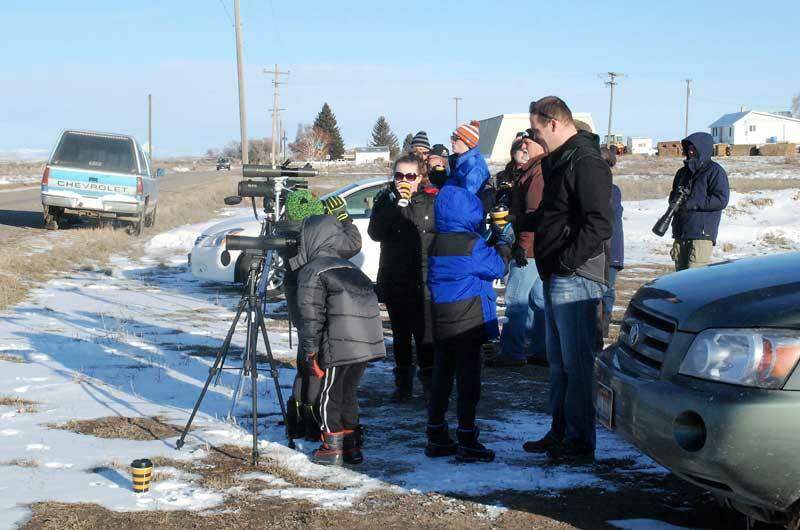 Bird experts, Kit from Idaho Falls and Chuck from Pocatello, were valuable resources to the beginners, while Joyce, a retired newspaper reporter and writer, was taking pictures and notes. Hopefully we will see a published article about her take on the event in her entertaining and tasteful writing style. 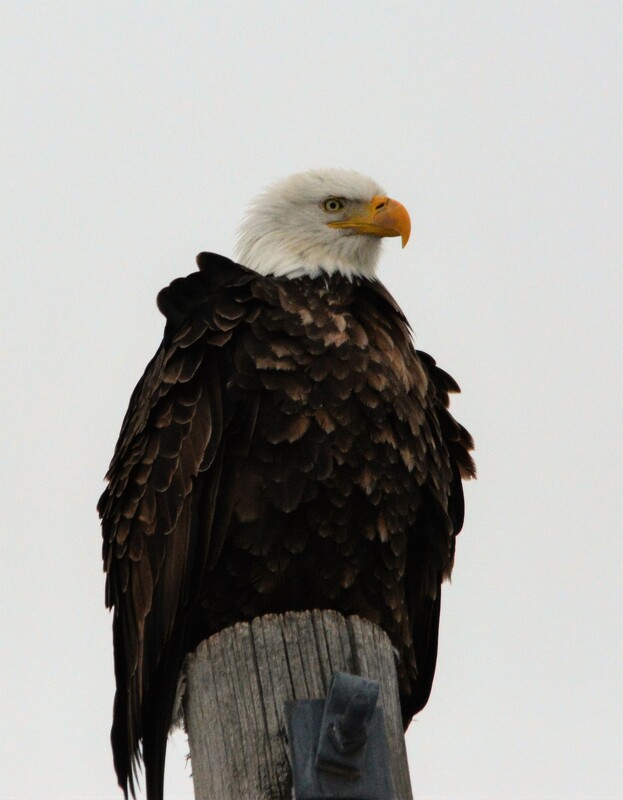 Even Charlie, a talented photographer, showed up with his “long lens, but I forgot my tripod” to enjoy the sights and sounds of the eagles and visitors. With the cold weather many of the visitors would stop long enough to look through the scopes, grab a cup of hot chocolate and a cookie and then drive through the refuge or head back home. The group of people and the cars, caused most of the eagles to make a loop around the crowd before finding a place to roost. 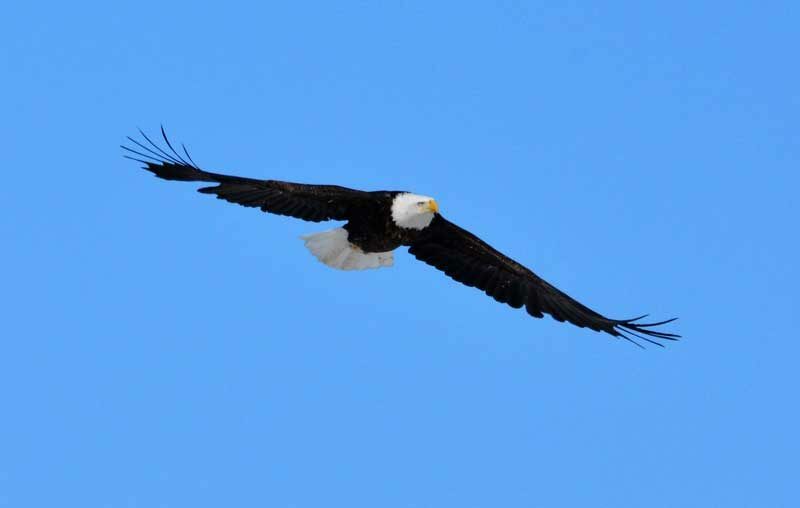 As the sun was setting and people began packing up their gear, the eagles had increased their flights and their chattering could be heard above the roar of the propane heater. I made one last count as I allowed my truck to warm up. 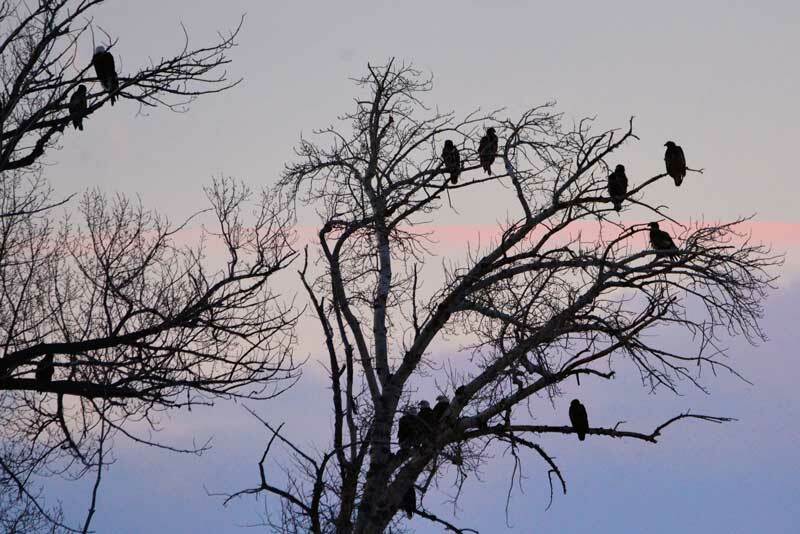 There were 68 bald eagles roosting in the large cottonwoods; all on the northern end — probably because of the cold breeze and a pair of Red-tailed hawks protecting their nesting territory. “A success indeed” I thought as I hoped one of them was the jack rabbit harvester.